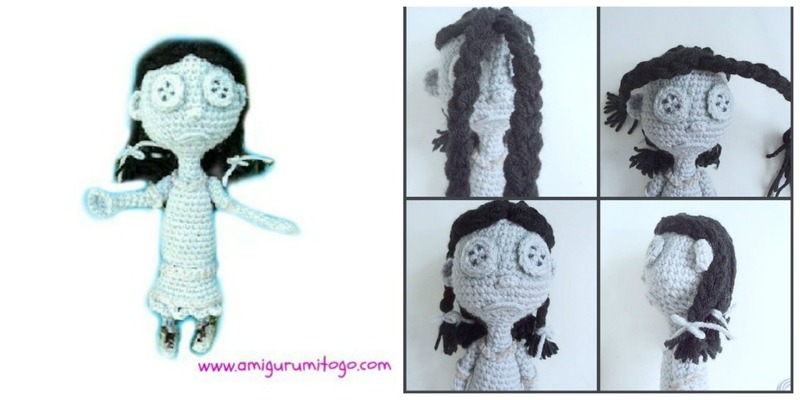 One of the first dolls I crocheted that was of my own design was Coraline, then Wybie, then Wuss Puss and even the Ghost child! Wow, that's dating back to 2011.. I can not believe how fast time flies by! Anyway, this year I revised all of those written patterns and gave each one a full video tutorial except for the Ghost child, I still have to revise her pattern. I'm not sure if I'll get to her this year but she would be a great doll for Halloween for sure. Here she is from 2011. I need to get better photos of her too! colors. 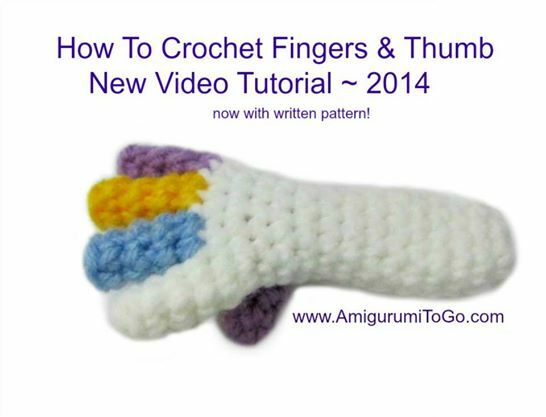 This is the revised version and it comes with a full video tutorial as well. 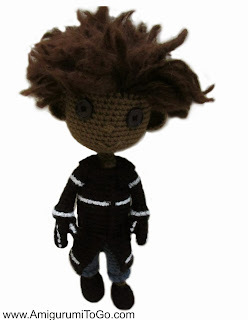 And I also made a short stop animation film of them together announcing the next free pattern...click the play button on the photo. 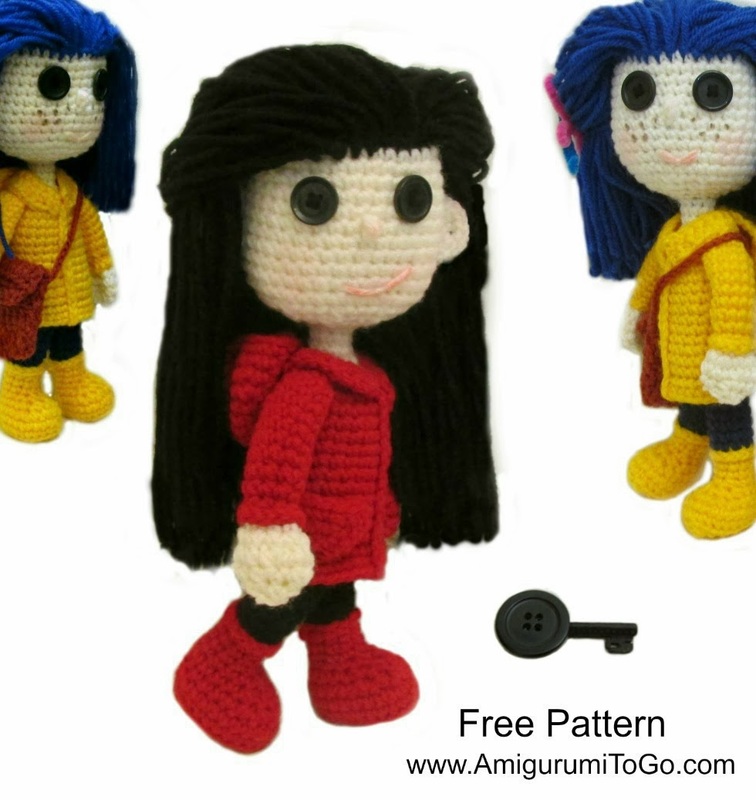 There's also an entire playlist of my Coraline patterns on youtube, click here and bookmark it! I discovered your YouTube channel yesterday & I just would like to say "thanks". I am a beginner crocheter and now, thanks to you, I think I can create something else than granny squares!! I am collecting craft books, especially crochet, but I never find this easy before I watch one of your videos. Thanks again and again, it is super sweet of you to spend this time explaining and making videos. Have a great summer day. Thank you so much for such a lovely comment, it was a great way to start my day. I'm very glad you have found the videos helpful, this means a lot to me. 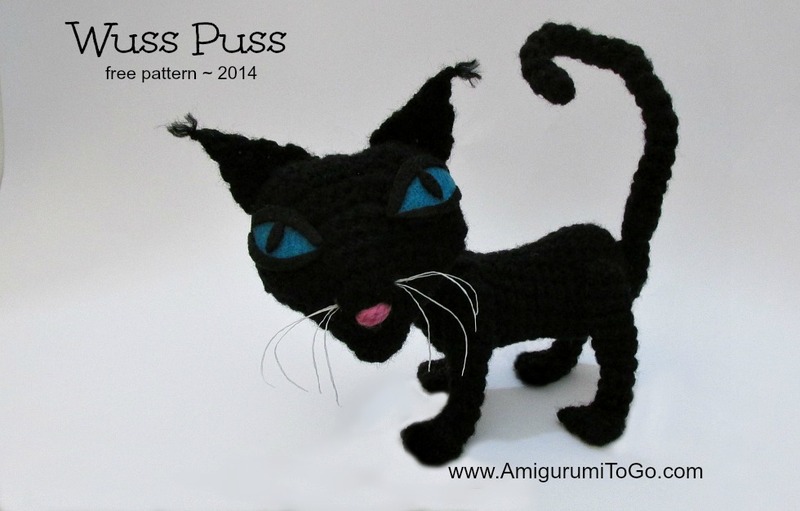 Have a wonderful Summer day yourself and of course Happy Crocheting!! I wanted to say the same thing as the previous poster. I could only crochet a granny square up until about 2 months ago when I was introduced to one of your videos. Thanks so much. You're a great instructor! 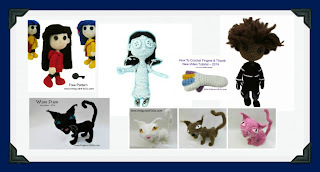 And my daughter *loves* Coraline (it plays in the background as I type) so I will more than likely be making a wusspuss sometime in the near future. Thanks again. awww, that's awesome to hear, thank you so much! I'm glad you are enjoying the patterns and videos, that means a lot.